Every year, millions of visitors head to Ireland's Wild Atlantic Way. But if you thought the Cliffs of Moher were the highest and the grandest in Ireland, you would be mistaken. The highest cliffs in Ireland are found up north in Ulster, Country Donegal at Slieve League. 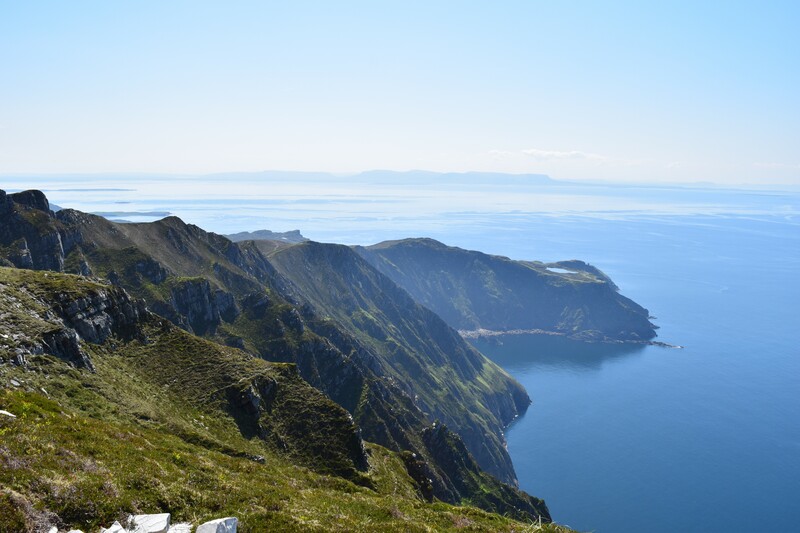 Visiting Slieve League has several options: First, you can simply take in the scenery by heading to the observation point which gives you a great view of the cliffs. For the adventurous, there is always the hike to the top which is well worth the effort. 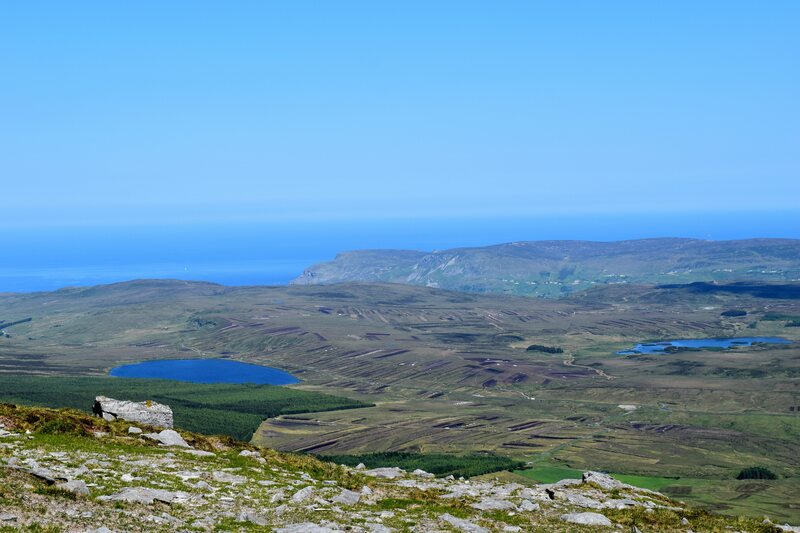 Two paths lead to the top: (1) the Slieve League trail and (2) Pilgrims Path. 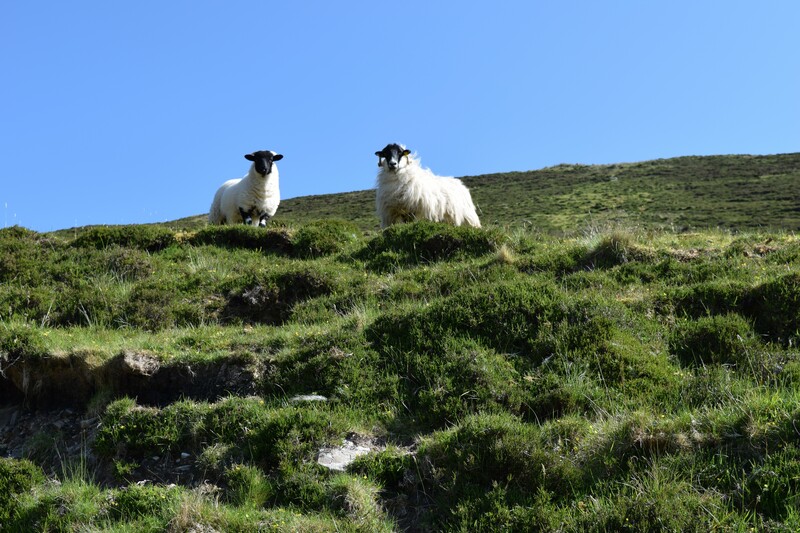 The Slieve League trail gets quite a bit of traffic and efforts are being made to give it a rest and let the environment recover. For that reason, we recommend the Pilgrims' Path. In order to fully appreciate the views, check ahead for the weather. On foggy days, there is very little to see and parts of the path can be dangerous with steep drop-offs. To reach Slieve League by car, follow the R263 out of Killybegs to Teelin. There is parking a little ways up the hill (be sure to close the gate behind you) where you pick up the Pilgrims Path. The walk is a long but steady grade which is suitable for adults of average health and condition after which there is a short climb up the steep path leading to the top. Why not join us for a tour of The North of Ireland , or our Five Provinces Experience. Both of these tours are available for private charter or as a self-drive package.